Rainy season brings cool weather giving us a comfortable sleep yet poses serious health threats for us especially among our children if we will not take the necessary precautions. We must be aware that the most common illnesses during this period are mostly related to respiratory system, so water and food borne diseases should not be overlooked. 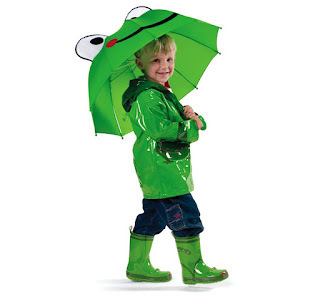 Keep a rain gear always with you, like hooded jackets, rain coats or umbrella. Eat nutritious food, more fruits and vegetables then take Vitamins to increase body resistance. Taking a shower after you have been caught in the rain will protect you from many infections, especially when you walk on flooded streets. Use an anti-bacterial soap to wash away the germs and bacteria that may cause fungal infections and Leptospirosis. Give your children a hot milk or hot soup after drying up from a shower, as it will help them keep their bodies warm. Proper hygiene and cleanliness should be well-observed at all times. Drink only clean and safe water, it is best to have your children bring along their water bottles with them in school to avoid drinking contaminated water. It is better to always take precautions and be prepared whenever kids and family members go out of your home on this rainy season.